Hiya crafty peeps! 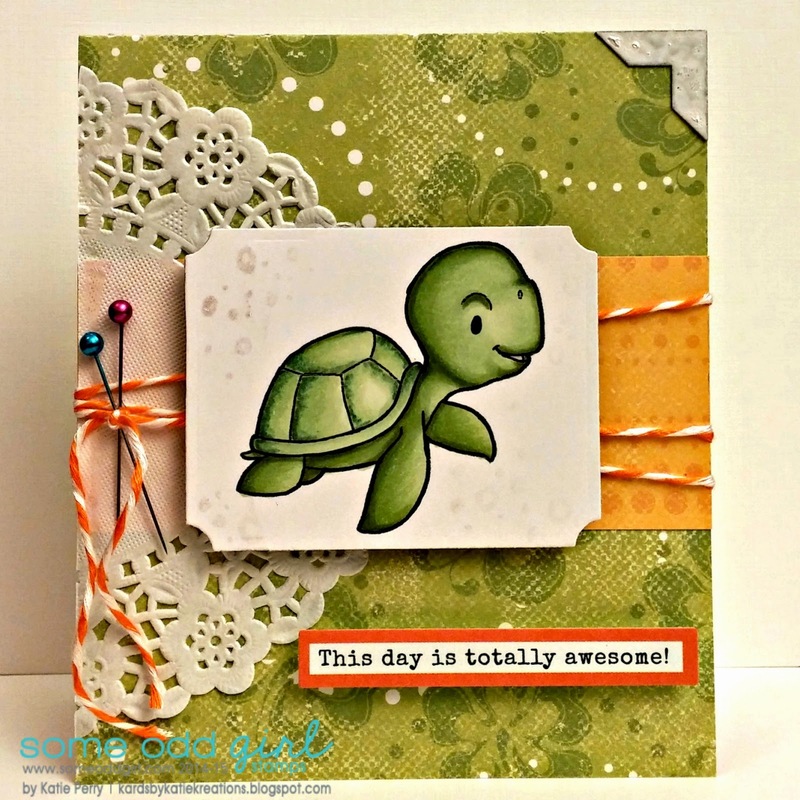 Hope that your week is off to a good start so far :) I'm just popping in to share a new digi that's being released today over at Some Odd Girl- this adorable little Sea Turtle! I just love this little guy and he's so fun and easy to color (plus he totally makes me think of Finding Nemo, lol). I paired him with some beachy papers from a SUPER old Bo Bunny line because the bright colors seemed to suit him and a few other bits and bobs- like some bamboo twine that you can also find in the Some Odd Girl shop. If you want to check him out- and get introduced to the new character being welcomed into the SOG family this week- then make sure to pop on over to the Some Odd Girl blog to see some more amazing inspiration. Thanks so much for stopping by to visit me! OMG - this has to be the cutest turtle ever! Fabulous card, really cute.I was fortunate enough to come face to face with one of these little fellows while swimming on holiday a few days ago. This card is totally awesome! hahahha... great sentiment, isn't it? I love this turtle image and you have coloured him perfectly! AWE this is totally Adorable!!! !